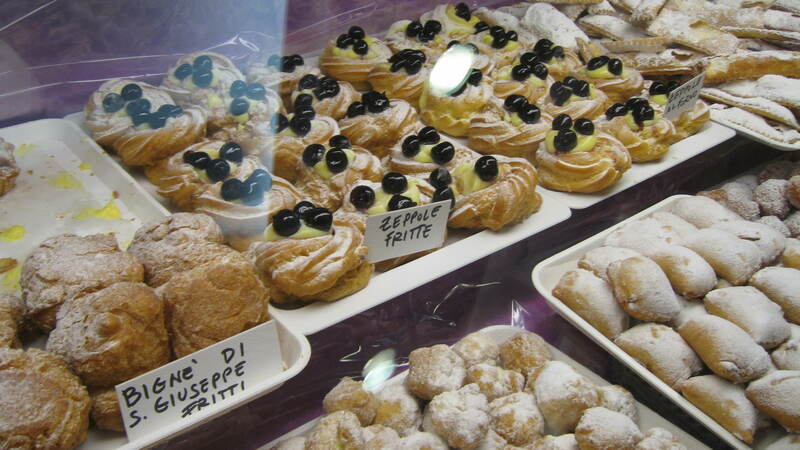 We’re in the season of Carnevale, the forty days before Lent, which used to be, for Italians, one long party, when masquerade meant license. 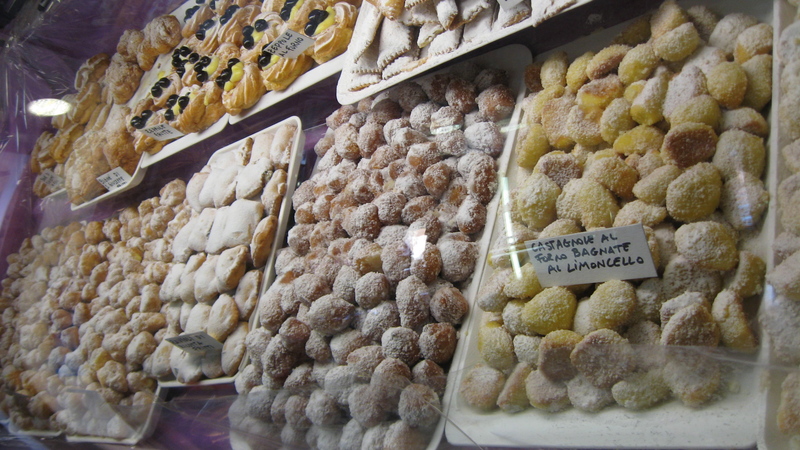 (For some of Lord Byron’s lines on this tradition, check out my fritter post.) 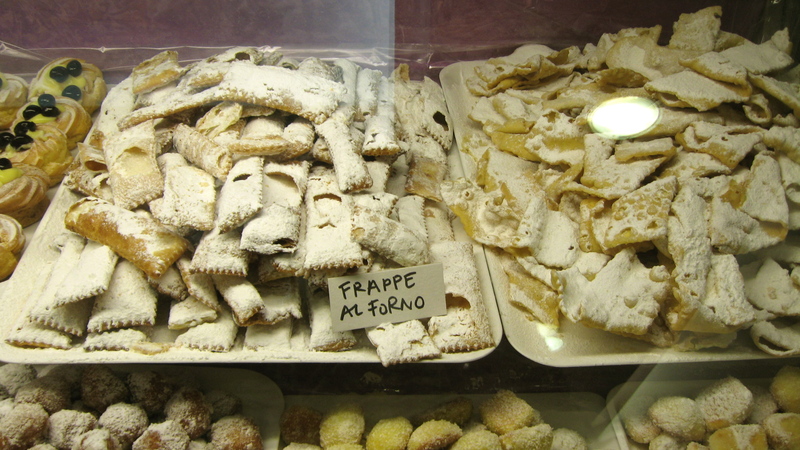 Speaking of fritters, frappe—a crispy, ruffled kind of fried dough topped with a blizzard of powdered sugar—is now in all of the forno windows, beckoning people with its simple mix of sweet, fat, once-a-year bliss. 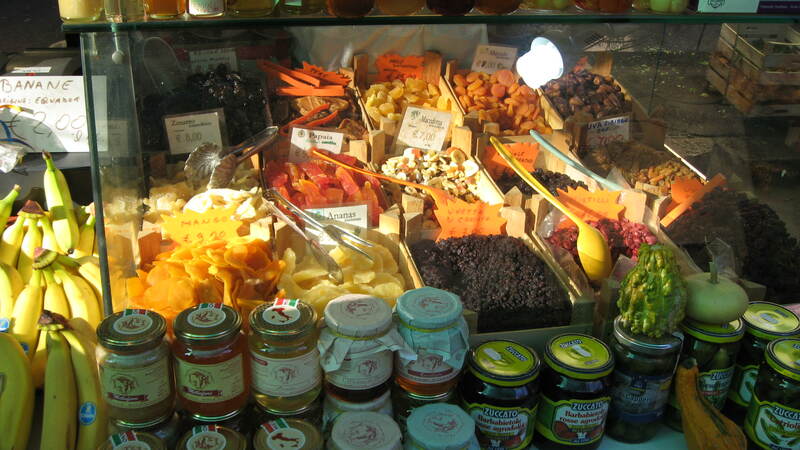 On our way to the market this morning, Ramie and I stopped at Dolce Desideri (as usual). From Desideri, we went to the market to stock up on delicious seasonal greens. 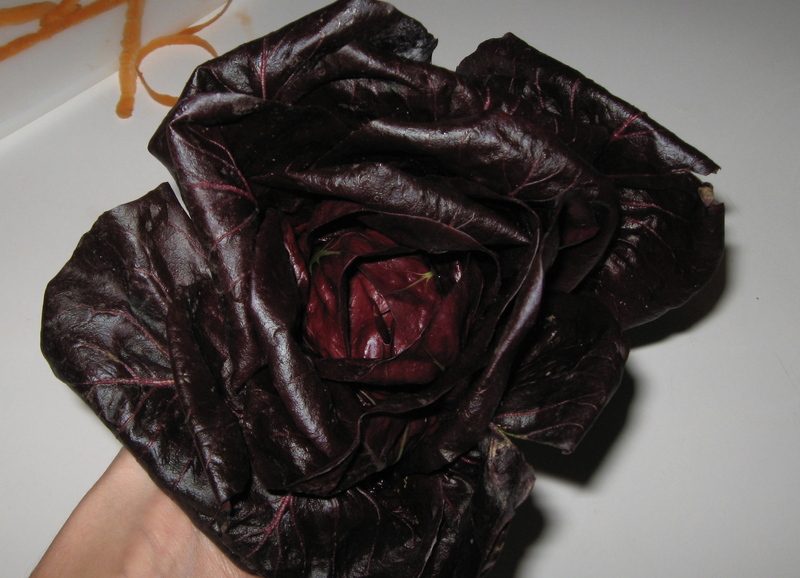 I bought a little head of treviso radicchio that looks like an overblown dark rose. 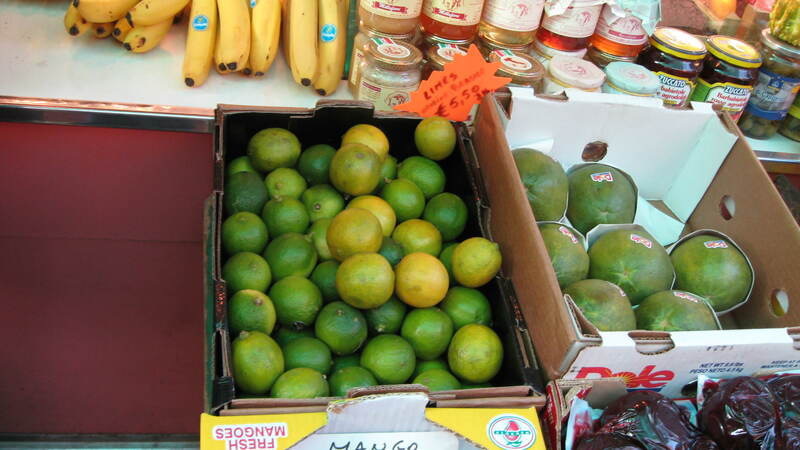 The presence of limes at this stall made us realize there is a complete lack of limes in Italian cooking—at least around here. Why? Every other citrus fruit grows in abundance, in the gardens here, in the playground at Jack’s school, in courtyards all over the city. But this is the only place I’ve ever seen limes. 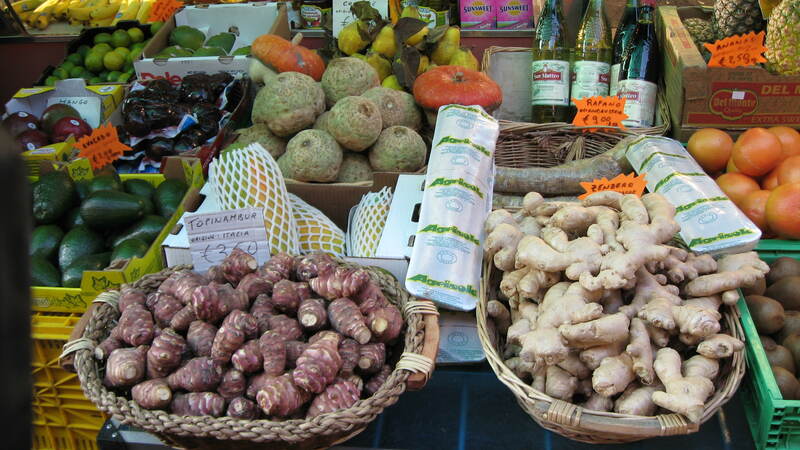 This is also the place to get ginger root, dried fruits, bulk nuts, and spices. 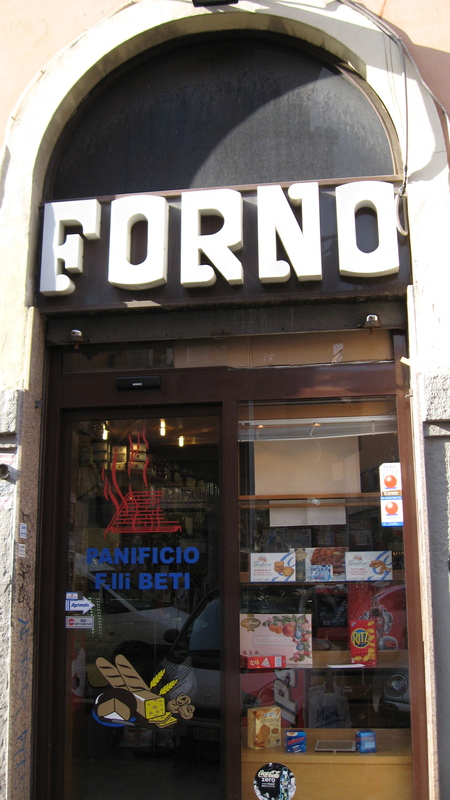 From there, I went to my favorite local forno to get some pizza bianca. I also bought some puntarelle, which I later tossed in the traditional Roman way with lots of garlicky vinaigrette and chopped anchovies. 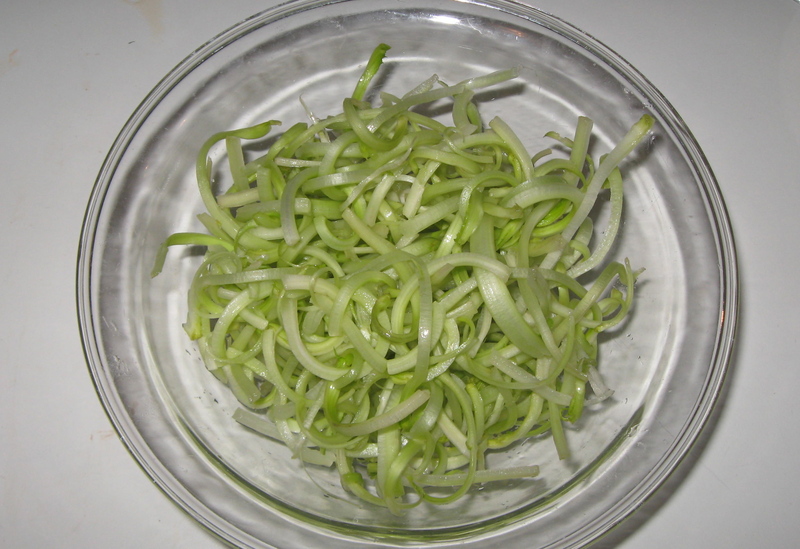 Puntarelle are the hearts of a tall chicory variety, sliced lengthwise and soaked in cold water, which makes them curl and takes off some of their bitterness. Mix garlic, anchovies, and salt in small bowl. Mash with back of wooden spoon or firm spatula until paste forms. Whisk in oil, vinegar, and mustard. Season dressing to taste with salt and generously with pepper. Place endive in large bowl of ice water. Refrigerate 1 hour. Drain well. Place in clean bowl. Toss with anchovy dressing and serve.